Size: LargeMediumSmall This item is currently out of stock! 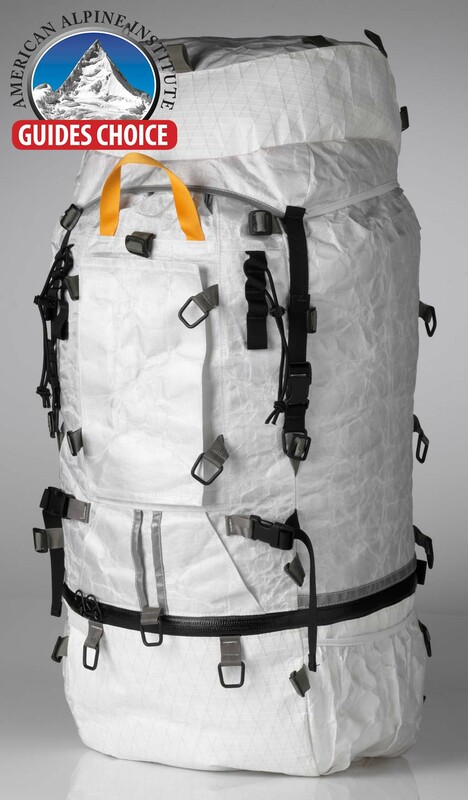 The 75L Worksack is a specialized carrier for bulky loads. A step beyond from our regular WorkSacks, it can comfortably carry the heavy loads of high altitude mountaineering and long, unsupported backpacking trips. Cilogear's Woven/Non-Woven Dyneema� (W/NWD�) WorkSacks are the burliest, strongest packs currently available in the world. Made with cutting edge fabrics designed and developed by CiloGear, the W/NWD� WorkSacks weigh pounds less than the competition with three times the abrasion resistance of 1000d Cordura, and it's waterproof. The W/NWD� WorkSacks simply outperform everything else on the market. Our WorkSacks are used on the hardest climbs in the world. The new CiloGear Woven/Non-Woven Dyneema� (W/NWD�) WorkSacks represent the culmination of more than five years of research and development on the most advanced fabrics in the world. Destined to be a new heirloom item, this is the pack you will pass on to your grand kids. Available in space station white, these packs still look good after years of hard use. The NWD� 75L shares the same suspension and features as the regular 75L Worksacks, with a Ninja Pocket, removable framesheet with aluminum stay, carbon control rod, bivy pad, lid, sternum belt and hip belt. The strap set consists of 4 short simple straps, 2 long simple straps, 2 dual adjust side release straps that go all the way around the pack, and 2 long side release straps.